11 June 2014. 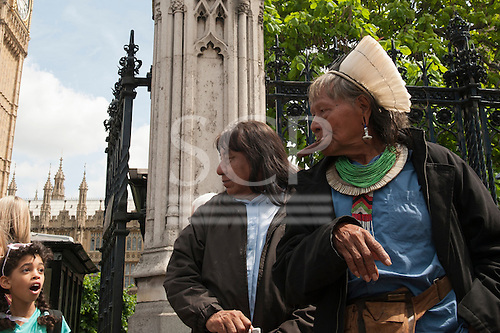 Kayapo Chiefs Raoni Metuktire and Megaron Txucarramae during their visit to London. The chiefs stand in front of the British Houses of Parliament in Westminster; a surprised young girl stands looking at them with her mouth open.